The 23-man rosters from 32 World Cup teams will fly into Brazil with pride, dignity and a good amount of pressure on their players' shoulders, as they were the chosen ones who will represent their countries in one of the world’s most prestigious sporting events. We've chosen an elite starting 11 that will undoubtedly make headlines throughout the 2014 World Cup. From young, unproven players to experienced champions, we analyze a "Fantasy 11 players" who are arguably the best in the world at their respective positions. Undisputed first choice and arguably one of the top five goalkeepers in the world. He stands at 6-feet 6-inches and has a 6-foot-9 arm span. The 22-year-old Atletico Madrid goalkeeper has been a key player for Diego Simeone. He has been incredible in La Liga performances, keeping a clean sheet in 20 of 37 matches, helping his team win its first La Liga in 18 years. Courtois has conceded the fewest goals during the 2013–14 season. Curtois also led Atletico Madrid to a runner-up medal in the 2013-14 UEFA Champions League. A defender with a striker’s soul who's ice cool, Sergio Ramos is always crucial in the moments where it matters most. He recently scored two important goals in the semifinal game against Bayern Munich to secure Real Madrid a spot in the Champions League final. He also scored a last-minute equalizer in the final seconds of the game in the final to put Real Madrid into extra time. Real Madrid ended up winning the game 4-1 and taking the Champions League crown. He was a non-playing reserve on the 2010 World Cup squad who has matured into the team’s captain and the ultimate defensive rock. He's quick, classy and comfortable in possession. He's not the most vocal of leaders but quietly commands respect. The Manchester City defender is a prime example of a leader on and off the pitch. 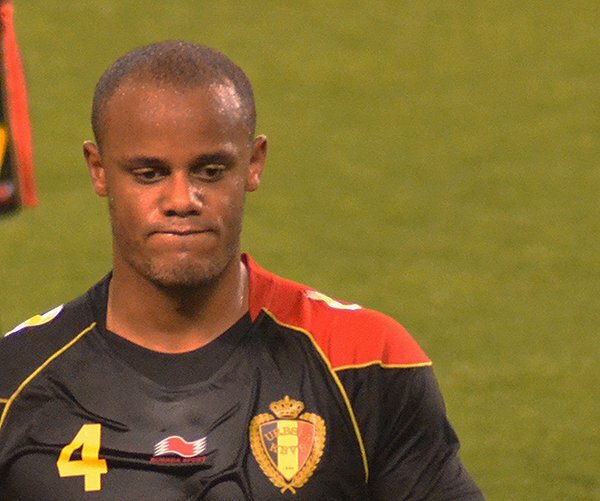 He recently won the Premier League with City and is looking to make a strong statement with the Belgian national side. He is strong and composed on the ball. Forwards hate going against him. He will be the one to look out for. He's known as an excellent, versatile defender. He is prone to reckless defending, but his ability to shift to different positions and still perform at an exceptional level is unbelievable. He played in various defensive positions at Chelsea and recently has been playing in a defensive midfield role for Jose Mourinho. Be on the lookout whenever Luiz pushes forward, too. The guy can shoot from distance. Undoubtedly talented, Hazard has rarely performed up to par with Belgium. This will be his time to shine in Brazil and will surely do so after coming off an electric season with Chelsea. Hazard specializes with playing wide out on the wing a drifting toward the box. He also has a few nifty tricks up his sleeve so be aware of him on the pitch. In the words of Sergio Ramos, Iniesta is “touched by a magic wand.” He stood out for his unbelievable performances in an otherwise difficult season for his club team, Barcelona. He is widely remembered for scoring the winning goal in the 2010 World Cup final against the Netherlands. Iniesta is intelligent on the ball and will destroy you with a killer touch in the midfield. The young French player spent most of his time on the bench for Manchester United under the management of Sir Alex Ferguson. Frustrated because of lack of playing time, Pogba joined Juventus and went on to become a sensational young talent for the Italian champions. Pogba's 40-yard volley against Udinese was one of the best goals of 2012-13 season. His performances have been instrumental for Juventus, as Pogba and his teammates won consecutive Italian Serie A titles (2013 and 2014). Brazil’s poster boy and great attacking hope, he is outrageously skilled, capable of improvisation at pace and crisply efficient finisher off either foot. He's superb from free kicks. The hopes of the host nation are piled on his slim shoulders. Everyone will be expecting massive things from him. Read profiles of all 32 teams competing on a global StoryMap. Disagree with our team picks? Then vote in our poll. Portugal’s superstar captain has thrived since the appointment of former teammate Bento as national coach. Since his arrival, Cristiano Ronaldo scored 24 goals in 32 games. This will be the third World Cup for the World Player of the Year, and he’s expected to have a good tournament. As the captain and star player, Lionel Messi is setting up goals when he's not scoring them. Messi is constantly being compared to the likes of Maradona and Pele as one of the greatest ever. He has yet to have a successful World Cup, but Brazil 2014 could be the year he breaks that.The Argentine magician will be hungry for his first ever World Cup trophy. Arguably the best player for the United States men’s national team, Bradley established himself as a key player for the USA during his father’s tenure as head coach. After a successful playing stint in Europe, Bradley now finds himself playing for Toronto FC of Major League Soccer and is hungrier than ever to put make the U.S. a factor on the world stage in Brazil.